I'm glad that I was given the opportunity to try out Sudio Earphones! Sudio is a Swedish lifestyle brand and its elegant design, quality sound stands out from many earphones in the market! I always find it essential to invest on a good earphones, I really can't stand bad quality sound cause it just spoils my favourite songs!!!! There are currently 3 models available on their site, VASA, KLANG and TVA. "VASA is one of Sudio ́s premium models, to which a new generation 10,2 mm driver has been developed. The new driver is our best so far. The user is now able to hear every detail, in every instrument, in every song, giving a unique unforgettable sound experience." "One cord has been designed to be longer than the other. The longer cord receives support from the user's neck to prevent the earphones from being pulled out. The stay-in-ear feature also lets the user wear Klang as an accessory." "TVÅ has an extremely lightweight construction, making the earphones easy and comfortable to wear. The earphones, despite its light weight construction, drives a powerful 14.2 mm dynamic driver which is perfectly tuned for music lovers." AND CERTIFICATE FOR YOUR EARPHONEEEEEES, HOW COOL CAN THAT BE! Maybe it is just me being so suaku hehe! And a quick shot of it! I've been using this for a week and I really love the sound quality and colour!! Even my friends love that shade of pink! So this is how they look like in a package!! 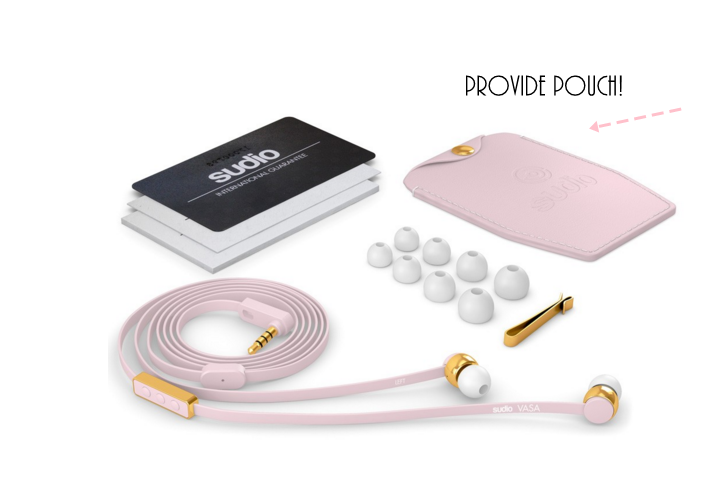 If you're looking for a good earphones, I would highly recommend Sudio earphones to you! They come in various colours and 3 models with different pricing for you to choose from! Hurry and grab the one that you would love to give it a try! What's a good music without a good earphones? Heh.